There are 10 races for decision at Tabcorp Park tonight but if I'm being honest the first couple look like trap races so I'll be targeting just the races I'm most interested in with the Game Plan below. It's fair to say I'm very keen on my Best Bet and I also reckon my Best Value and Roughie are at wildly inflated prices so they will be the cornerstone of this Game Plan though I'm also having a genuine dip at the major Quad. After a lean period I've straightened up of recent times so hopefully we can yield a result once more. Happy Easter all! This girl has exceptional Kiwi form and given I'm not sure about the local 3YO fillies & this isn't a strong heat she'll win easily. I wasn't rapt with this girl's first up run and she tackles two very nice fillies, particularly Smart As Camm Be, so $3.10 is too short for mine. OVERVIEW: Rare type of race to launch tonight’s programme where, if pressed, you could make a case for every runner engaged. As it transpires however we’ve narrowed the chief winning chances to four. Leading the charge is BE MAJOR THREAT (2). This fellow has gone back early and finished off well from wide draws at his two most recent outings but from gate two tonight expect a return to his previous catch-me-if-you-can tactics. A winner of five from 10 when leading BE MAJOR THREAT (2) should easily find the front and once he does it’s tough to see who’d pressure him in transit. Little separates his three chief adversaries BETTOR BE THE BOMB (10), ZUBERI (3) and also MADEEBA (7). Often underrated BETTOR BE THE BOMB (10) continues to defy expectation in a range of different roles and given his beautiful trailing draw he goes into the winning mix along with ZUBERI (3) who’s also racing well and looks primed to lob the one-by-one on transit. MADEEBA (7) is a trickier proposition. 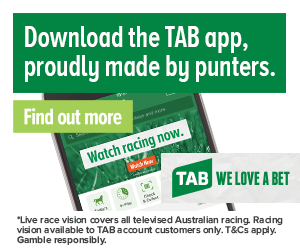 An easy winner over easier rivals in PB time at Cobram last start John Caldow will need to make a big decision as to whether he’ll go forward or backward at the start. Regardless of what decision JJ makes they’ll only need even luck to feature but there are perils related with both options tonight. EARLY SPEED: 2 (Likely Leader) + 3,6,7? 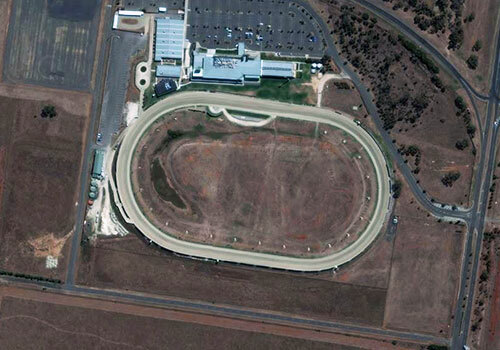 OVERVIEW: Tonight’s second-tier M1 to M2 is a strange old race for a range of reasons, not least because the class runner MISS GRACELAND (1) resumes from a short sabbatical with questionable trial form from the polemarking draw. If you were planning to take the 2017 Victoria Oaks winner on tonight you’d have two key reasons to do so; she’s very vulnerable to being crossed at the start and her recent trials have been solid but not quite what we expect of her. That being said it’s exceptionally hard finding one to beat her so she still rates on top of fellow gun mare MY VENICE BEACH (3) who possesses good gate speed and arrives here having finished third to Sydney’s benchmark mare Major Occasion at her most recent outing. The knockout runner might be FIRENGLOW (8) who has been recording some amazing final splits of late and can follow the poles everywhere here while SCOOB OPERATOR (4) is a better horse than the one who finished last to Rishi two weeks’ back. EARLY SPEED: 1,3,7 + 2,4,6? OVERVIEW: Back in the North Island of New Zealand BELLE OF MONTANA (9) has established her reputation as a sit-sprint specialist with devastating speed who can run down rivals form a variety of roles. Tonight, the two-time conqueror of freak filly Princess Tiffany rocks up in a Vic Oaks heat where she can spot them a start and give them a beating as usual but it’s far more likely she’ll whip around to park or probably find the front. Make no mistake, this girl is all class and if she doesn’t win tonight it will probably mean a natural disaster has occurred. Four fillies from each of tonight’s three Oaks heats will qualify for next weekend’s final and the three remaining places should be occupied by TWO TIMES BETTOR (8) who looked outstanding as a juvenile but seems more nice filly than freak at the minute, VENA MAY (6) who seems to be improving all the time and MISS STREISAND (2) who should lead, at least initially from her advantageous alley. EARLY SPEED: 2 (Potential Early Leader) + 1,5,6,7? OVERVIEW: There will always be a certain level of scepticism when an interstate invader that has been beating up on inferior adversaries rocks up in Vic at short odds in tougher grade but SMART AS CAMM BE (6) totally warrants her hype. This analyst’s up-close experience with Kylie Rasmussen’s speed machine came nine months ago when she lifted off the canvas to claim the Group 1 Triad in breathtaking fashion and if anything she has only improved since then. Watch for her to bully on and find the front or land on the premises and dominate these late. On pure ability ENCHANTED STRIDE (7) looms as the Sunshine Stater’s major danger given her super record in big race series and her brilliant last start triumph though VICTORIA BREW (1) is much better drawn and can improve sharply off a moderate first up effort. Exotics don’t end there either with SINGLE TREE ROAD (5) and LADY ROCKNROLLA (2) also deserving of a place in Trifectas and First Fours. OVERVIEW: This is a phenomenally competitive fast class pace to kick off the Quad where we’ll be throwing six of the 10 in our Quads knowing there’s a real chance we’ll still get knocked out clean. The preferential nature of tonight’s draw dictates that even though there’s no blistering speed off the front row we’re almost assured of seeing a sub1:53 mile rate recorded and for that reason the class runners narrowly get the nod. At pretty juicy odds the best Each Way play off all may well be VEE ROCK (11). Since leading and winning over this trip three starts back VEE ROCK (11) has sliced home nicely without threatening at his following two efforts. Tonight he’ll need a perfect steer to feature late but if Zac Phillips has this fellow 3 wide and 1 back as they swing from home then he has the short-term speed to swamp them in the lane. His major threat is likely the amazingly genuine RISHI (10) who is having an awesome campaign but looks likely to lead the 3 wide-line for home. Others well worth including in Quads are Queensland pocket rocket LILAC FLASH (9) and likely leader PHOENIX PRINCE (1) along with the perhaps-sweetly drawn JILLIBY BANDIT (8) and emerging gun CODE BAILEY (7) in a race where tempo and tactics will largely dictate where these horses finish on the line. OVERVIEW: With no Tornado Valley and MCLOVIN (8) drawn off the second row this is a very different type of feature trot and as a result rather than having a dominant top tip there are at least four serious winning chances engaged. Heading that list is MAORI LAW (7). It’s been four-and-a half months since we’ve seen this freakishly gifted trotter and he’s only had the one, less than awe-inspiring trial, but on raw talent he has the capacity to roll forward, dictate, dominate and prevail. His obvious threats are the also-resuming RED HOT TOOTH (9) who has been among the best 10 trotters in the land for quite some time and rocks up here after trialling well against the pacers and MCLOVIN (8) who has yet to prove he’s a come-from-behind-type horse but his class will take him a very long way regardless of the awkward alley. Also in the winning mix is SAVANNAH JAY JAY (5) who finally gets the conditions where he can upset some higher profile horses while KYVALLEY BARNEY (11) is also an Each Way player if everything went to plan. OVERVIEW: If the evening’s third and final Vic Oaks heat was staged on a straight track then KUALOA (8) would be virtually unbeatable but the fact she’s drawn inside the back row in the strongest and deepest preliminary of the evening means we have a race on our hands. Given her vaunted toughness last season’s Vicbred Super Series champion does look capable of working around to breeze and still winning here so for that reason KUALOA (8) still rates on top here but there are at least three serious threats. The most dangerous of them is underrated NSW Oaks runner-up TANGOINGWITHSIERRA (2) who has the draw to either lead or lob the on-one trial in transit. She can be hugely dangerous to the favourite in either role but the same can be said for ARABELLA STAR (1) who controls her own destiny to some degree from the polemarking alley and SOHO NOLITA (4) who’ll be coming out on rollerskates tonight given her winning chances may be dictated to by whether or not she finds the early lead in transit. OVERVIEW: Early tactics will play a critical role here but if Victorian newcomer THE CHARGING MOA (1) can lead as expected from her polemarking draw and LOOKS LIKE HEAVEN (8) can follow her through the latter horse is perfectly poised to ambush her rivals in the lane. Plainly put LOOKS LIKE HEAVEN (8) has raced at a higher level than any of her rivals and if her last start effort where she flooded home late in a stronger race than this is anything to go by she should take this out if she gets the trailing trip. If things don’t pan out for our top tip early then her obvious threat is PISTOL ABBEY (5) who produced an unthinkable performance to bust her Melton maiden last start in a race where she defeated gun mare Our Step Up. In major Quads that top couple may cover you off but if you want to be a little more liberal then also include OUR BARE KNUCKLE (2) and the aforementioned THE CHARGING MOA (1) who has been trialling nicely without setting the world on fire but can certainly show up fresh in Victoria for gun mentor Dean Braun. OVERVIEW: Star trotting mare AMOUR DE FRERE (3) face one key challenge tonight; a step up to middle-trip racing after obliterating her rivals over short course trip three straight runs in succession. If she negotiates that challenge – and she should – then another rudimentary all-the-way triumph looms. If not then her major threats are the very strong and rapidly improving THE GREAT REDEEMER (7) and perhaps STRESS FACTOR (4) who took all before him in three local runs to close out his 3YO terms but hasn’t looked quite the same presence as he acclimatises to open age racing now at four. The other key runner is CHISSY (1) who appears almost certain to lob the leader’s back in transit which makes him a must-include for all exotic wagers. EARLY SPEED: 3 (Likely Leader) + 1,4,5? OVERVIEW: Reverse the draws and it’s possible you might reverse the result but with PRESIDENTIALSECRET (3) drawn to lead here he should record his second devastating Claiming grade win in succession here with his only realistic risk coming via LUCKY LOMBO (7) who comes here fresh from a super Mildura Cup campaign with a small hope of pinging his major rival at the start. Outside of that clear top two WINGATUI DEW (4) and ARTHUR LOWE (5) who are both racing well look the clear third and fourth picks for exotic players tonight.